Don't you wish there was a real place called Candy Land? The closest I've ever seen would be Willy Wonka's factory. 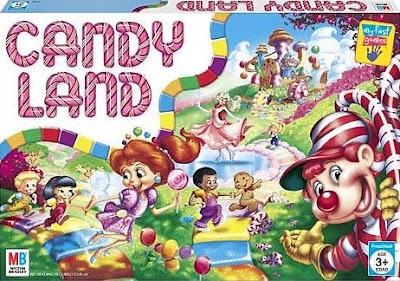 Well, in lieu of a real place made of only candy, we have the game Candyland ! I honestly can't think of a game more geared towards preschoolers. Mainly, it's teaching kids their colors along with skills such as taking turns and being a good winner/loser. And since there's no reading necessary, kids as young as 3 can play. 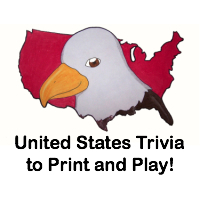 You can also play with anywhere from 2 to 4 players, so the whole family can get in the game (or you can send the kids off to play by themselves for a bit). Either way, it's a good time for all! Would you like to win Candyland ? First, you need to publicly follow this blog and/or subscribe on Google Reader. Then comment here and tell me what your favorite candy is. This giveaway will close on May 13, 2010 at midnight. My favorite candies are the butterscotch and mint chocolate flavored ones! My favorite candy is Three Musketeers. My favorite candy is a milky way bar! I'm in your drybib give away.